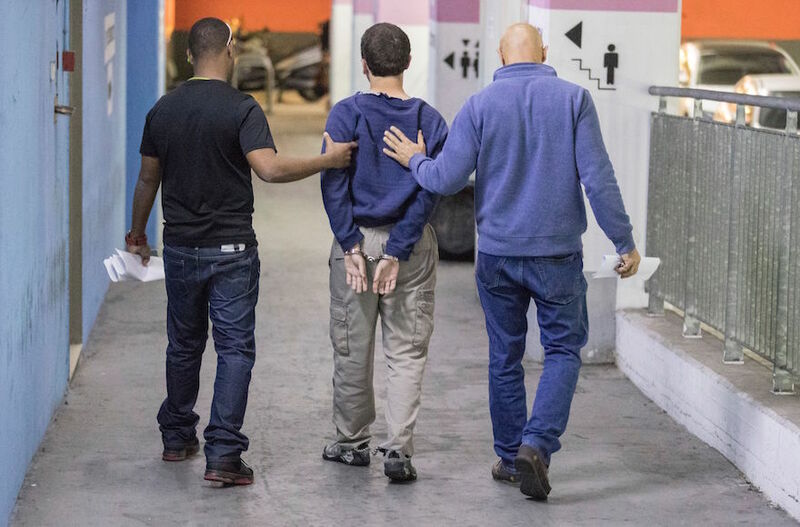 The American-Israeli man charged with making hundreds of bomb threats to Jewish community centers in the United States and elsewhere briefly escaped from police custody in Israel. The computer hacker, 19, from Ashkelon in southern Israel, attended a hearing in Jerusalem District Court on Monday. Following the hearing, Michael Kadar was taken to an interrogation and detention center in Jerusalem before being transferred to the Nitzan Prison and Detention Center in Ramla, where he is being held. After exiting a police car, Kadar, who managed to loosen a leg shackle, pushed away the security officer accompanying him and made a run for it, according to reports. He was chased for a short time, tackled and then returned to custody. Kadar was charged in Israel in April 2017 with thousands of counts on offenses that include publishing false information, causing panic, computer hacking and money laundering. 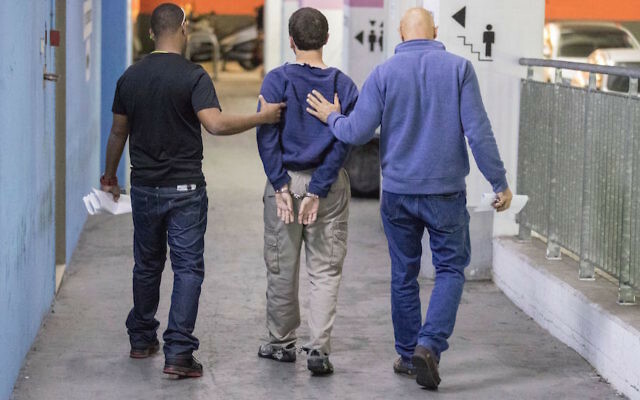 He was arrested in Israel in March in a joint operation with the FBI. According to the indictment Kadar, who has dual U.S. and Israeli citizenship, made threats to 2,000 institutions around the world, including the Israeli Embassy in Washington, D.C., and other Israeli diplomatic missions, schools, malls, police stations, hospitals and airlines. Threats to three airlines, including Israel’s national carrier El Al, led to planes making emergency landings, dumping fuel and requiring military escorts, according to the indictment. His parents and attorney have said he has a benign brain tumor that affects his behavior, as well as a very low IQ. The Jerusalem Post reported on Monday that the United States has backed away from seeking the hoaxer’s extradition, but may seek to have him extradited and tried in the United States after he finished his trial in Israel. The U.S. Justice Department in April 2017 charged him with making threatening calls to JCCs in Florida, conveying false information to the police and cyberstalking. The U.S. reportedly made an informal request for his extradition at the time, which was rebuffed by Israel.